Yes, another pumpkin post! I’m pretty much burnt out on talking about pumpkin, so let’s just get to the sweet, sweet, delicious recipe. 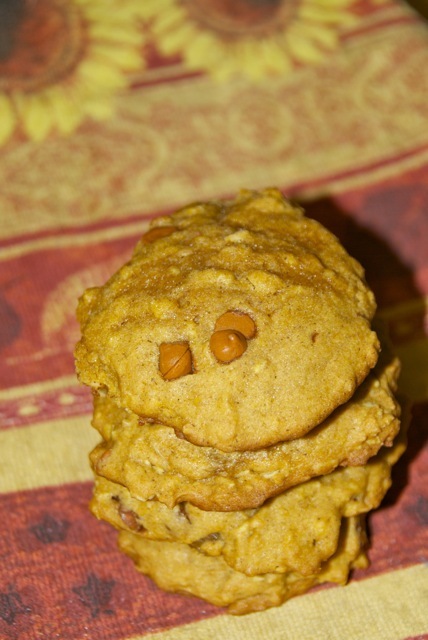 These cookies have a little bit of everything– oatmeal, raisins, craisins and cinnamon chips. 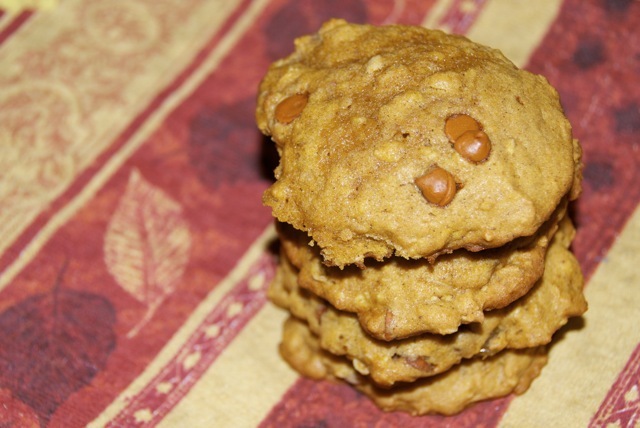 You could sub pecans or walnuts or white chocolate chips. Go crazy! They’re cakey but moist, and oh so delicious. Preheat oven to 350 degrees. 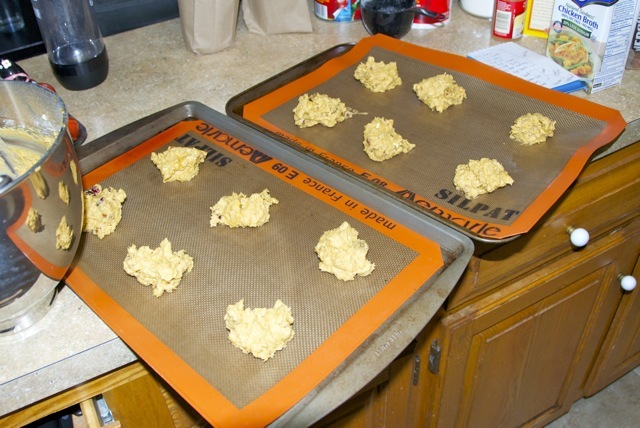 Line baking sheets with silpats or parchment paper. Combine flour, oats, baking soda, spices and salt in a medium bowl. 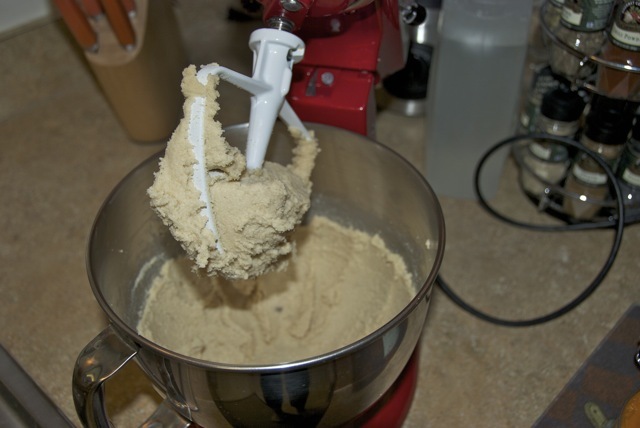 Beat butter and sugars together in large bowl until light and fluffy. Add pumpkin, egg and vanilla extract, and mix well. 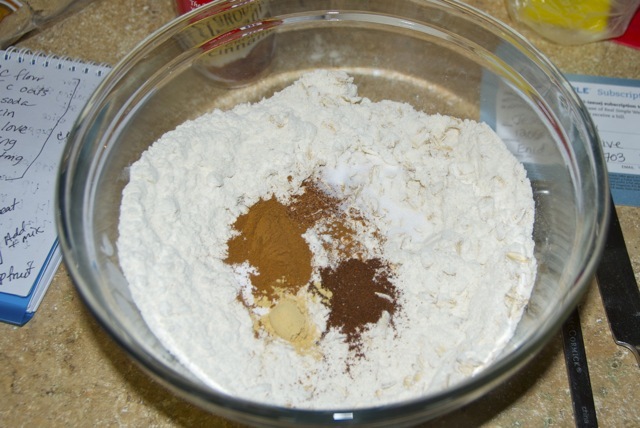 Add flour mixture and mix until all ingredients are incorporated. 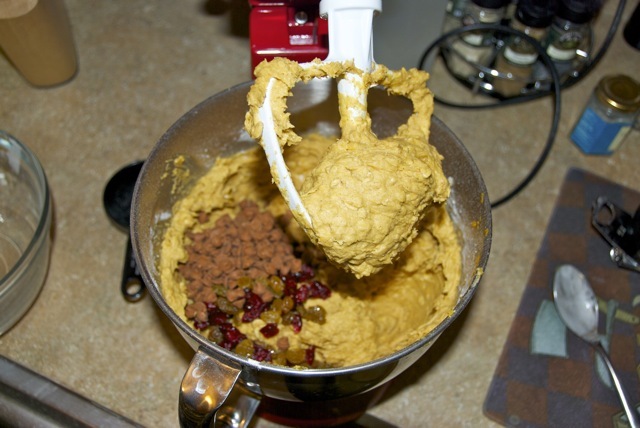 Add the cinnamon chips and fruits and mix on low for just a few seconds, until everything is just combined. Drop rounded tablespoons onto baking sheets. 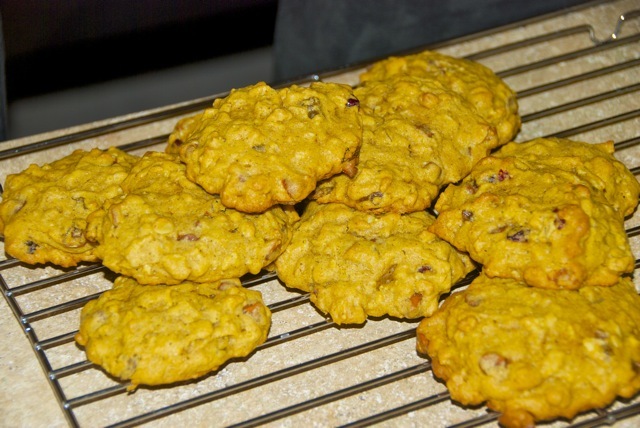 Bake 14-16 minutes or until cookies are lightly browned. Cool on baking sheets for 2 minutes before removing to wire racks to cool completely. These look great… I love all of the fall flavors!